This is very sad and surprising news. 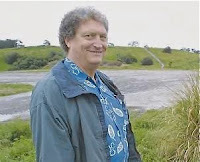 Although I knew Dr. Vandersloot only casually, when our paths did cross he was eager to engage me in discussions about our environment and the politics thereof. His bearing was almost regal and his passion for all things nature was clear. I find myself wondering who, now, will pick up the baton for this fine, fallen man. Condolences to his family and many friends - and to every patch of weeds he tended, every chunk of tideland he nurtured and every tree he hugged. He will be missed. 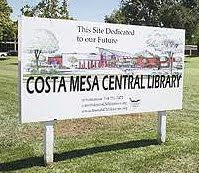 First, don't forget the Costa Mesa Library Foundation Bookfair this weekend. You can read all about it again, HERE. It's still in full swing today, Friday, through Sunday. Do some Christmas shopping and support a very worthy cause. Originally Jeff Teller from the Orange County Marketplace was scheduled to attend. At publication his participation is not firm. Reservations are required. Call John Nam at Solorio's office to RSVP at 714-939-8469. Incidentally, this issue has revitalized former mayor Sandra Genis, who has spoken before recent council meetings with wit, intelligence and passion. She has begun posting on her blog, La Femme Wonkita, again, too. So, I've re-linked to it over there on the right. I suggest you visit her recent posts on the Fairgrounds issue. And, just to remind you what this is all about, here's a little video clip for your viewing pleasure this weekend.